Fall 2012 Long Island Sound Study! GEMS fifth graders traveled to Long Island Sound this past week to investigate what lives between the tides in our Connecticut coastline ecosystem! Long Island Sound Photo Winners Announced! Congratulations to this year’s winners of the Long Island Sound Photo Contest! Look for more photos in the links below of students, parents and teachers on the October 18th trip to Hammonasset Beach State Park. Student Scientists Study Life in Long Island Sound! Click on the link below to see some more fantastic photos! If anyone else has photos to share please submit your comments below. Thanks! 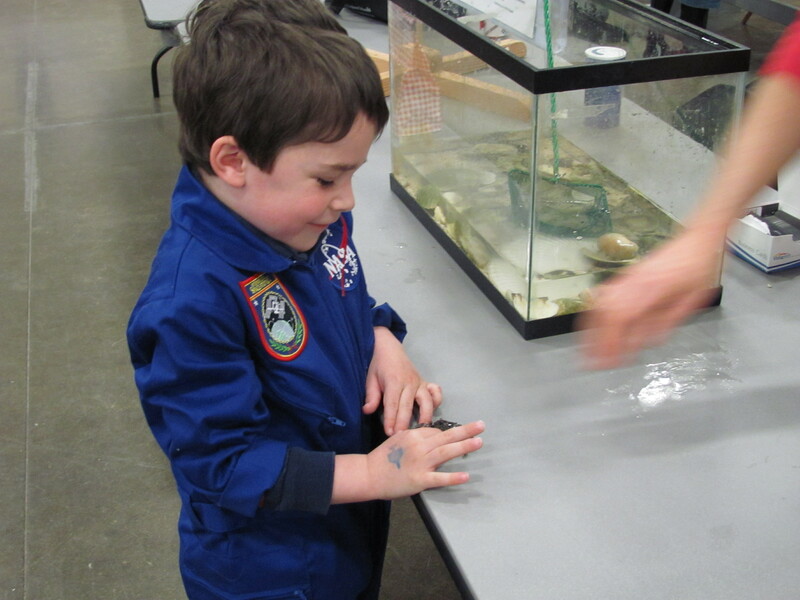 Long Island Sound Kids met students at another NASA Explorer School in Kentucky yesterday via our Distance Learning Network. 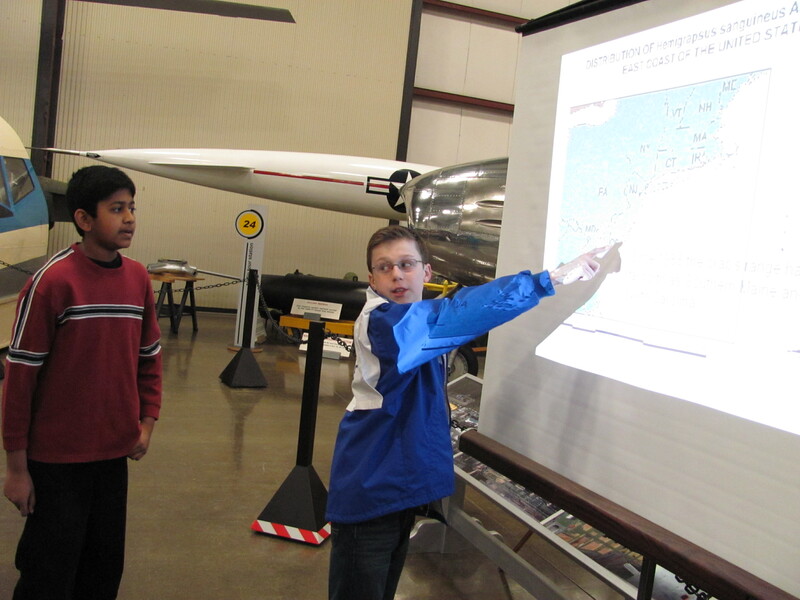 The live video-conference allowed our Connecticut student scientists to exchance ideas and scientific data with students in a different part of the United States. The students in Kentucky shared an experiment which focused on algae in providing oxygen for life on earth. They also shared experience with a violent storm wich happend over the weekend . The storm ripped part of the school roof off and created havoc for student homes. The studetns also explained “Derby Day” to our Connecticut kids and told them to watch the Kentucky Derby this weekend. Perhaps we will get a photo of our Kentucky friends very soon! Students Urge Others to Report Sightings of Invasive Species! 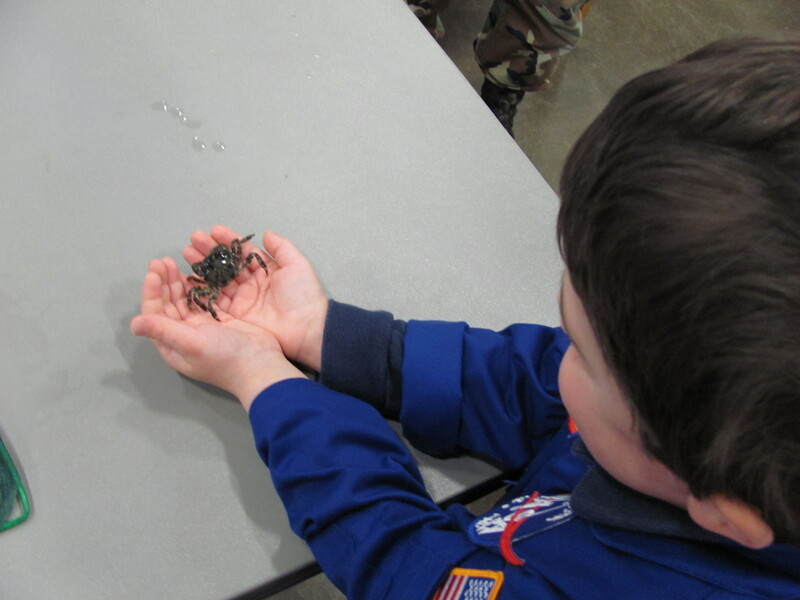 Families are asked to report sightings of Japanese Shore Crabs to their Longs Island Sound Kids website. 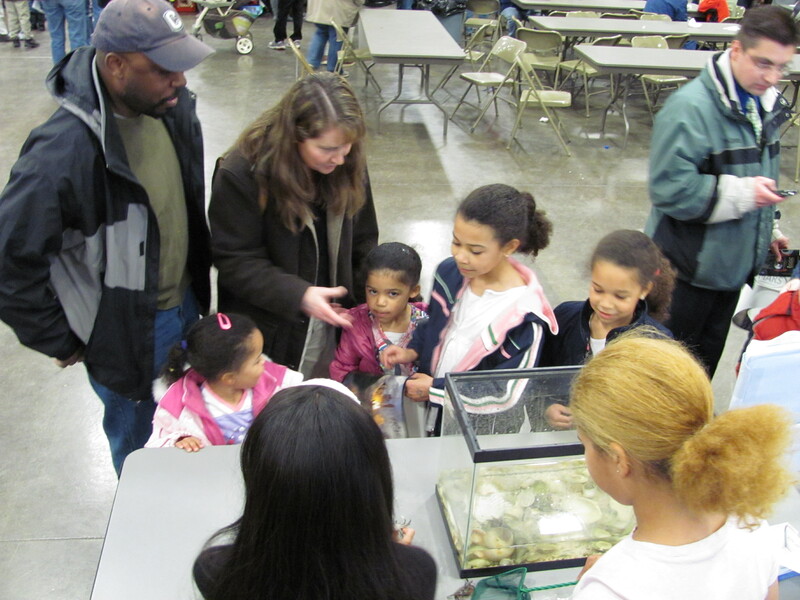 Kids and parents learn how to identify Japanese Shore Crabs. 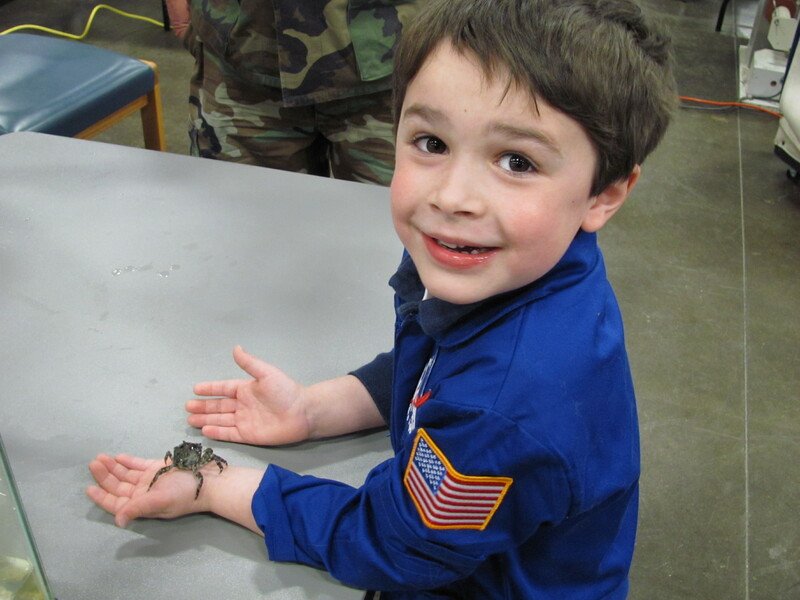 Kids try their hand at picking up a crab! "I know what Japanese Shore Crabs look like!" 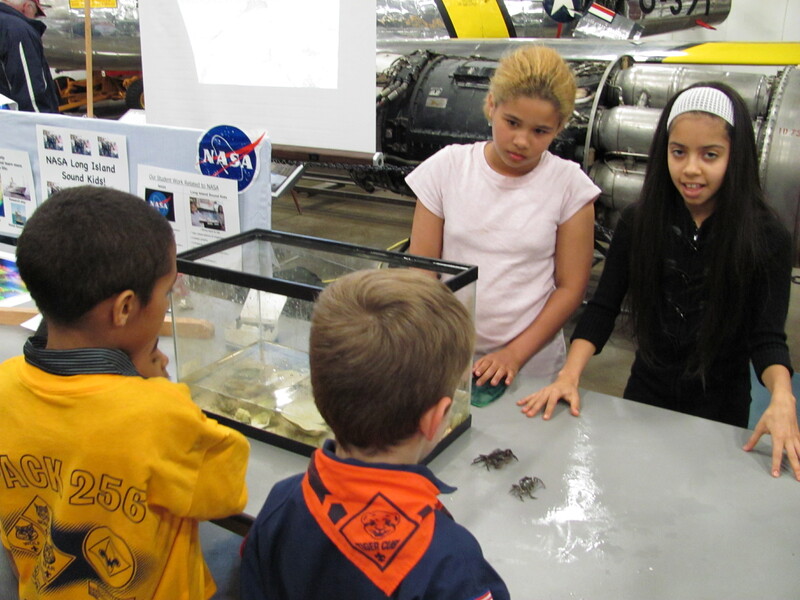 Student scientists teach kids how to tell the difference between male and female crabs. Japanese Shore Crabs came to the East Coast USA in the ballast water of ships carrying cargo to the US from Japan. 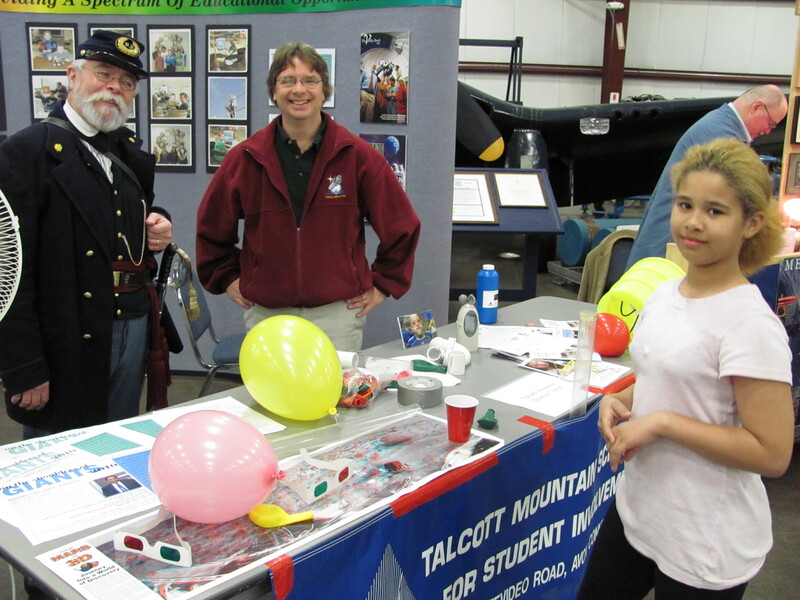 Students tour Space Expo and learn about science and programs at the Talcott Mt. Science Center. 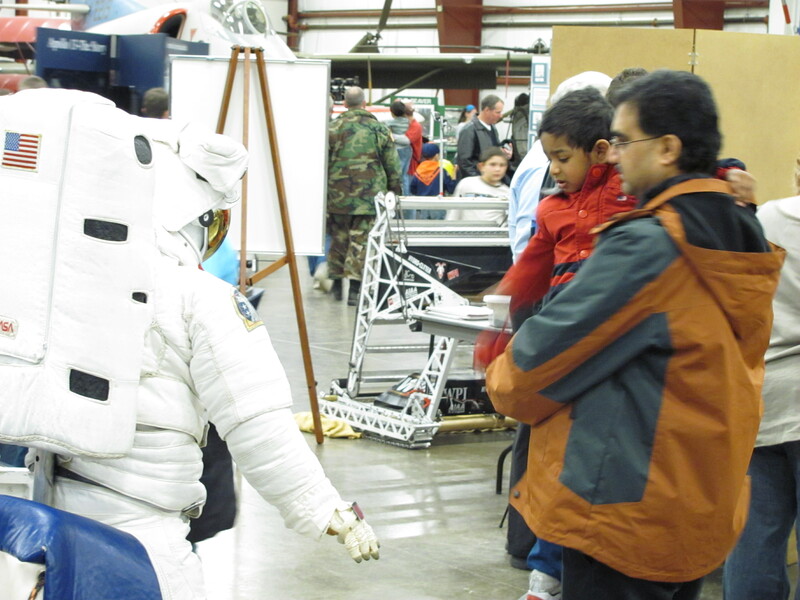 Hamilton Sunstrand brought a space suit! 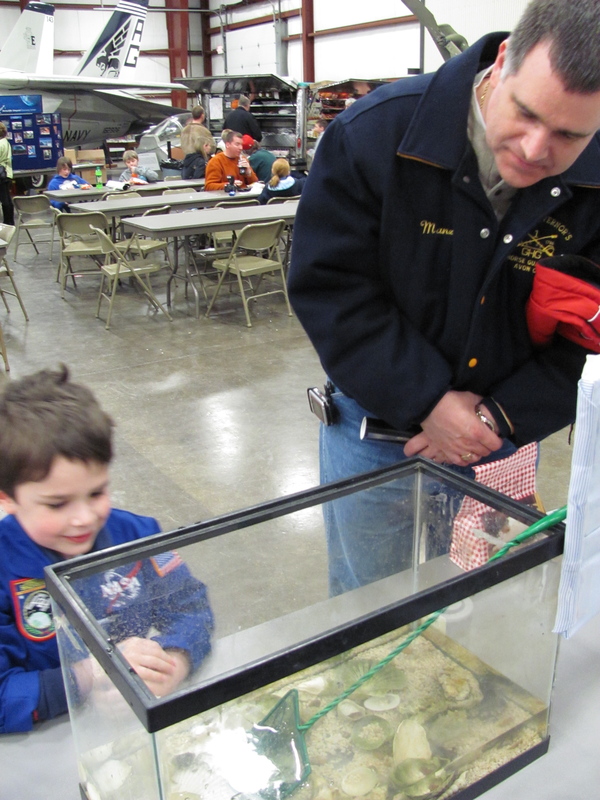 There was a lot to see at the New England Air Museum Space Expo! 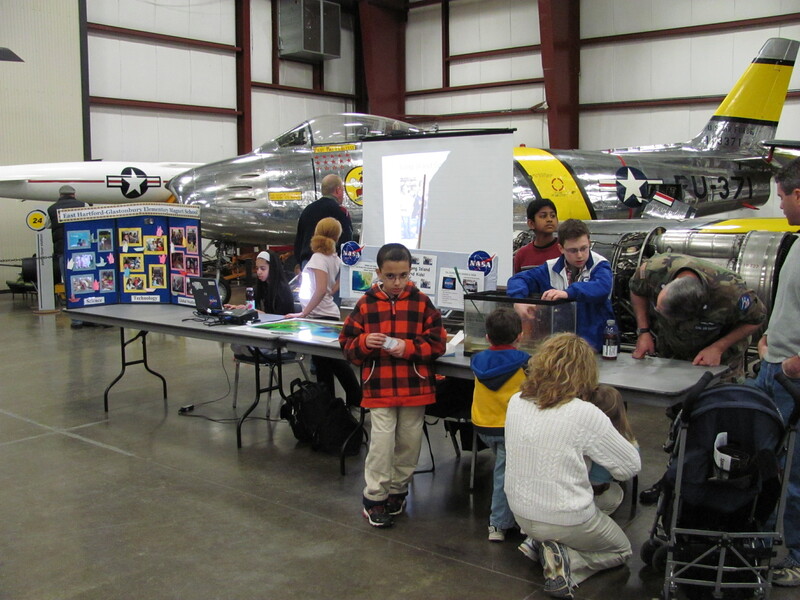 Students and their families are volunteering to present the student work at the Space Expo taking place at the New England Air Museum from 10-4:30 on Sunday, March 28th. We hope to hear from the other students soon! 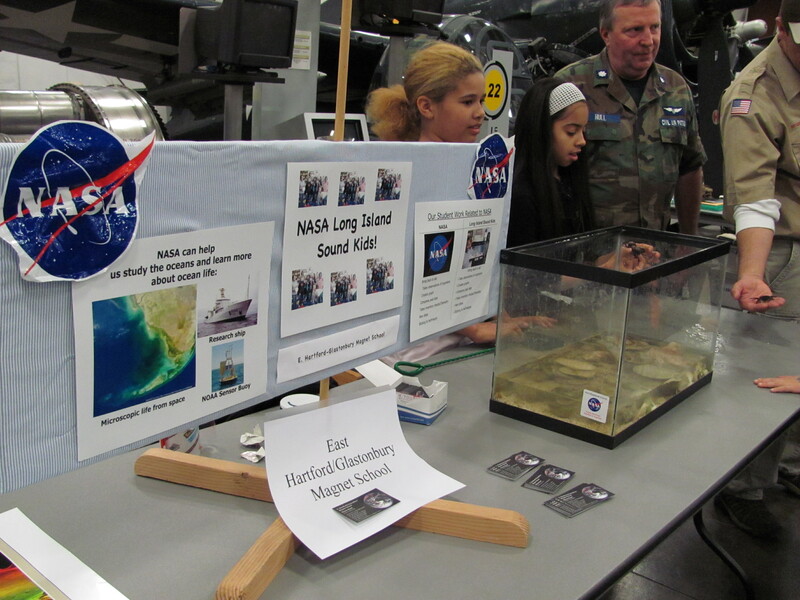 The Long Island Sound Kids have been practicing there presentation and getting all their facts straight for their big day presenting to NASA. A Big Cheer of Success!